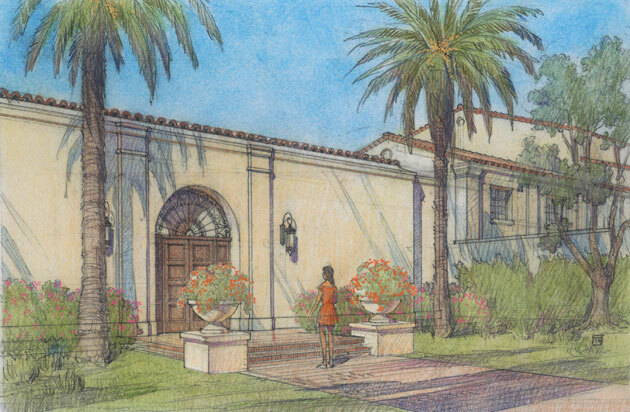 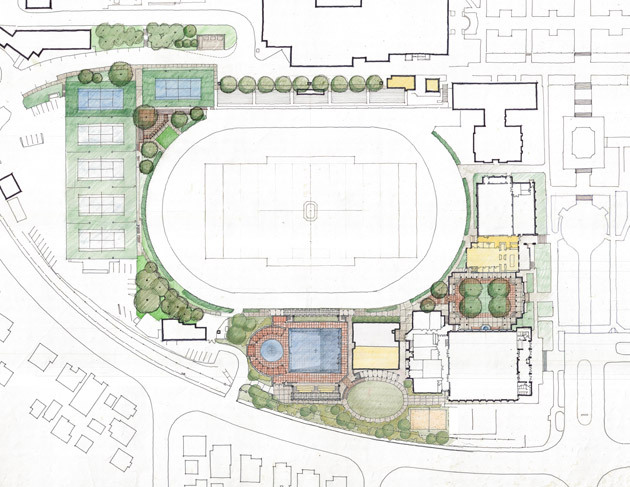 The Occidental College Pool Complex & Tennis Center project follows upon a master plan for the College authored by Moule & Polyzoides in 2006. 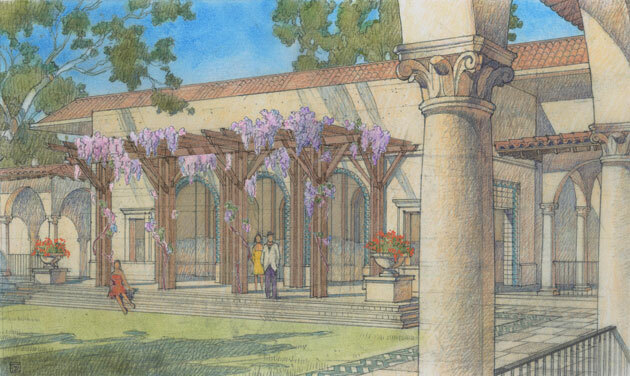 It augments and completes the foundation architecture of Myron Hunt in the athletic quadrant of the campus. 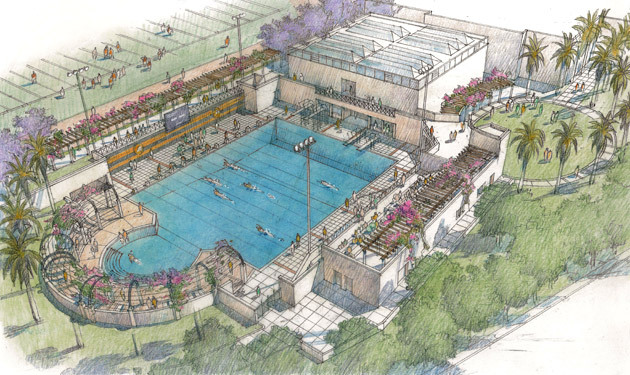 The Pool Complex is centered on a 25-yard by 34-meter competition facility that is configured for swimming, diving and water polo. 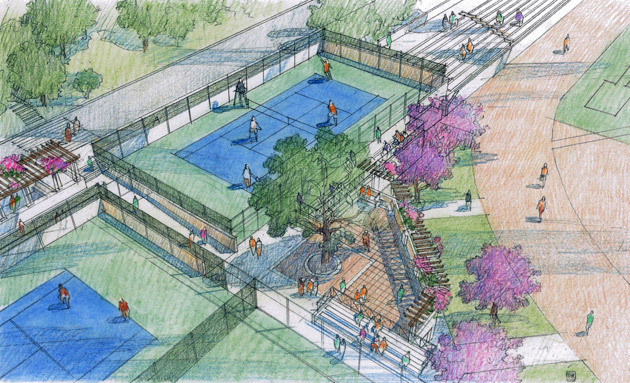 Spectators are accommodated in a stand of bleachers to the west and a balcony adjacent to the football field to the east. 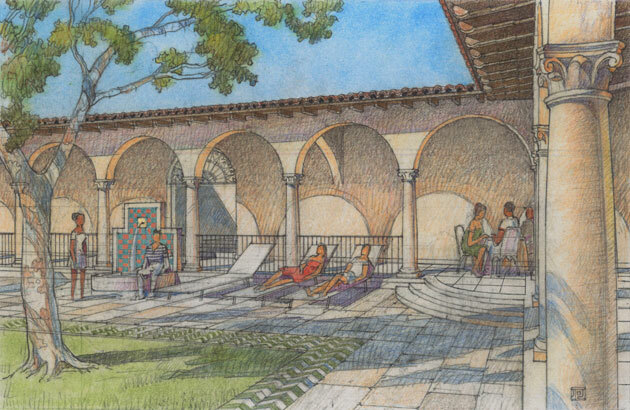 Adjacent to the pool are various places designed specifically for student recreation, including a plunge and an oval green, both defined by arbors. 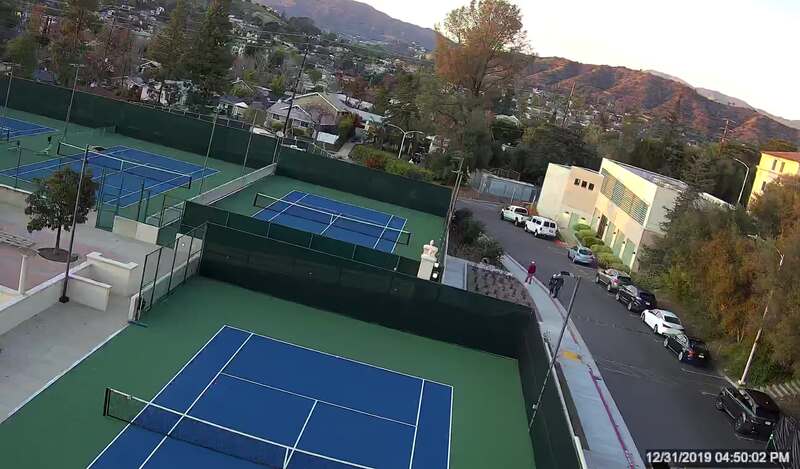 The Tennis Center is an addition to an existing set of tennis courts that completes all of the College’s facilities to NCAA tournament standards. 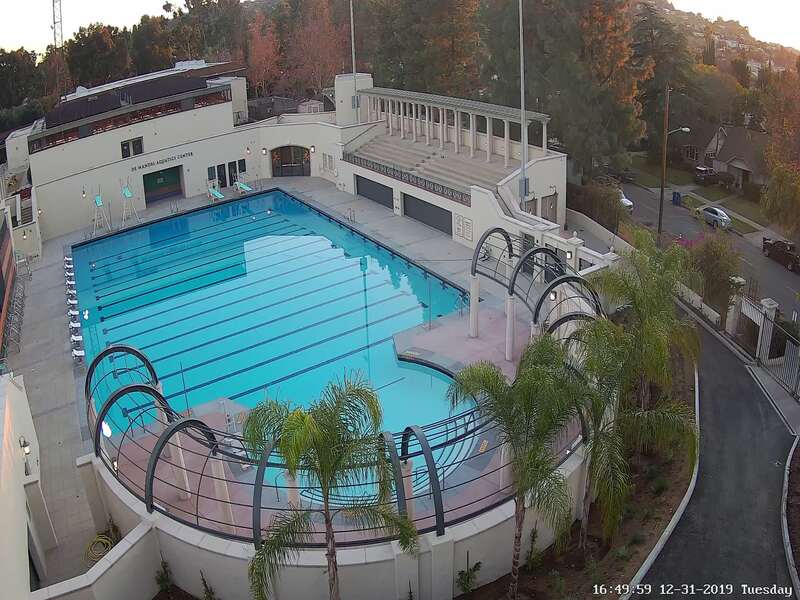 Currently under construction, you can view progress of the pool here and progress of the tennis center here.